Have you voted already? 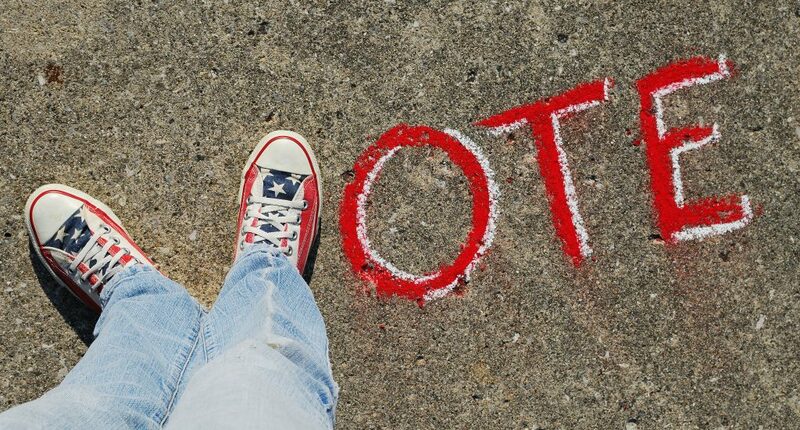 Are you planning to vote? On this blog we’re not in the habit of telling you what to do. You’re smart, you know what is right for you – and we know you’re already dealing with enough people who feel they know what you ought to do. We tend to just provide some practical information you might need, and share stories that might inspire or amuse you. 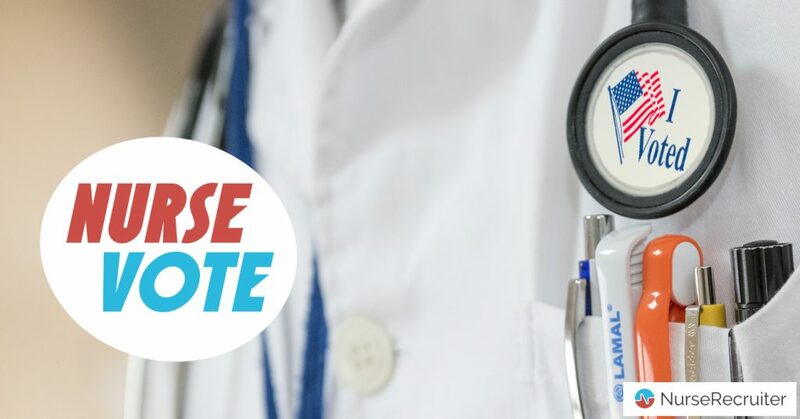 But last week we did launch this appeal to our readers: Nurse, vote! We’ll even be giving away free gifts from our NurseSwag store, if nurses send us their best Election Day selfies. Turnout in midterm elections is just two-thirds of that in presidential years. Senators and U.S. Representatives, let alone your state legislators, don’t get half the press Donald Trump generates. But politicians who get elected in midterms wield just as much power as those who run in presidential years. We highlighted some of the major health care issues politicians are fighting about in our last post. The fate of the Affordable Care Act. Its provisions on coverage for pre-existing conditions. Medicare expansion, which is on the ballot in four states and at stake in at least six more. The idea of creating Medicare-for-all. But there are countless other laws and amendments the politicians in Congress or your state legislature could draw up that don’t get anywhere near the same spotlight, but could affect your everyday work in major ways. To illustrate this, we’ve gone through everything we’ve written about these past few years, and made a list. These are just some examples of how your vote could matter – a lot! Should there be mandatory minimum nurse-to-patient ratios so nurses can provide better care to patients, or are they unworkable? Laws decide. Bills were introduced in Congress, and the question is even on the ballot itself in Massachusetts. Your vote matters! Are you able to take your nursing license to another state without much hassle, because it already joined the eNLC? Determined by law. Louisiana’s Governor signed one about it just last May, but over a dozen states still haven’t. Your vote matters! Should RNs be obliged to complete a bachelor’s degree, or would that mean an unreasonable burden? Laws can make it so – New York’s state lawmakers passed one last year. Your vote matters! With back-breaking injuries a “national epidemic” among nurses, should more states force hospitals to buy enough patient lifts? It would take new “safe patient handling” laws. Your vote matters! Female nurses earn 8% less than their male peers, so should more states pass legislation to tackle the gender pay gap? Should employers be forced again to report data about pay by gender, for example? A question of law. Your vote matters! Should nurse practitioners be allowed to practice independently, without physicians supervising them? What about CRNAs? In some states they can, in others not – it depends on laws. Your vote matters! Nurses face one of the highest risks of workplace violence. Would new measures to help prevent it, like those passed in California and proposed in Congress, make things better? Legislators decide. Your vote matters! How much overtime can your employer force you to work on top of your 12-hour shift? All hinges on what laws are in place. Your vote matters! Has the introduction of Electronic Health Records helped increase patient safety? It was moved along by law. Your vote matters! Almost a hundred thousand nurses work for the VA, making veteran health care a crucial field for nurses. Will the VA Mission Act leave the VHA underfunded as billions in funding go to the private sector instead, or will it slash wait times and help veterans find care closer to home? Laws have consequences. Your vote matters! Wherever you stand on the partisan divide, your vote matters. So cast your vote – a nurse vote! I am a conservative voter & have voted for44 years! I do not support “Obama Care” & I want less government interference not more. Nursing is now more about the computer than taking care of the patients. Nurses have to do so many things besides taking care of patients. Patients are generally sicker when they do get admitted & we have nurse managers that are right out of school telling experienced nurses how to do our jobs! Most of those managers don’t even like patients! They think they are to good to do patient care. It is sad. I live in OH and have been a nurse for over 40 years. It’s sad to watch the healthcare system change priorities. It’s not about taking care of the sick and injured any longer; it’s about making as much money as possible. It’s about getting those survey scores up so they can be reimbursed! Nurses and other healthcare workers are under paid and overworked! Most of us are chronically injured and we are constantly dealing with patients who are confused and physically attacking us. The healthcare system touts that they are interested in employee safety—but there are no metal detectors in the hospital I work in so anyone can walk in at anytime, carrying a knife or gun or worse. It’s a very scary world we live in. I am so glad i’m at the end of my tenure and not the beginning.